True beauty can really hurt and this is the best way to describe Gabor Kalman’s achingly beautiful film, “There Once Was…”. It is a documentary about Gyongyi Mago, a Catholic Hungarian high school teacher to tries to find a road to tolerance in her town, Kalocsa. As a graduate student, her dissertation loomed in front of her and she needed a topic and as she searches, she finds that once there was a thriving Jewish community where she lives and there are no Jews there now. She decided to not only pursue the topic but also to engage her teenage students with it as a way to teach tolerance and against prejudice. Her country was involved in racial tension, intolerance and the renewal of neo-Nazism in Hungary. 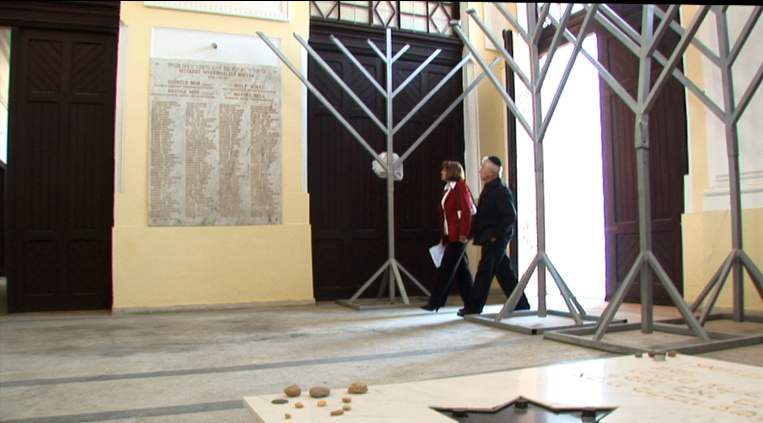 She appealed to the city council of Kalocsa to do something to remember the Jews who once lived in her town on the 65th anniversary of the liquidation of the ghetto there and the deportation to the concentration camps. There were survivors who came to the memorial and many second and third generations of those who were gone as well as her students, other students and residents of Kalocsa. The mayor and the Archbishop also attended the ceremony and then the unthinkable happened. A young New Yorker who was visiting Hungary was hit by a missile from a slingshot as she was visiting the newly restored Jewish cemetery and at the same time, neo-Nazis demonstrated nearby. Director Kalman received an email from Mago some three years ago asking for help with the project; she has seen his name of the list of Jews to be exterminated in 1944 when he was nine years old. He was touched by the mail especially because 64 years after the horrible event, a non-Jew would investigate what happened and to find out about the lost Hungarian culture. 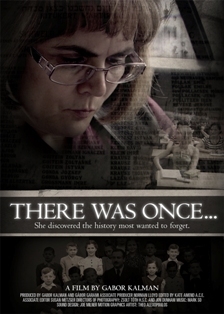 More than that, what would be found would be used to educate and fight the prejudice that still exists in Hungary today. Mago is an incredible woman and through her we see how one person can make a difference and how she was able to change attitudes and fight intolerance. The message of the film is much larger than the small town in Hungary—it shows the dangers of intolerance and racism and the results that can happen when they exist. We can just imagine what memories came to mind by those at the memorial and since so much has been lost in the war, the materials available to put on film were scarce but the film manages to portray a Hungary we do not usually see. What we see is cinema verite accompanied by experimental music and the tone is one of memory, sorrow and hope. If anyone has ever had doubts about what happened during that terrible time, they just have to see this film which shows us both the results of man’s intolerance and the need for a better tomorrow. Just this past year, the Simon Wiesenthal Center gave the Woman of Valor award to Mago and here we see why she so deserves it. She is one of the best we have and she shows us that one person can change history and attitudes by championing tolerance and educating others. The teaming of Mago and Kalman is genius and together they give us a beautiful film about a not so beautiful subject and shows us, once again, that we can never forget. This entry was posted in Film, Judaica on September 13, 2011 by Amos.